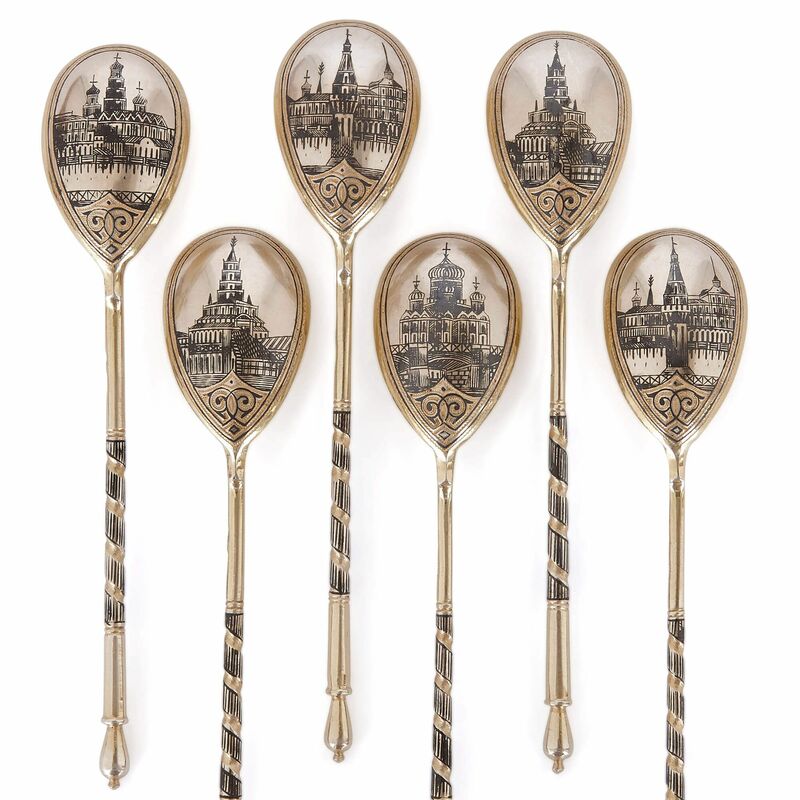 Crafted in Moscow in c.1880, this set of six spoons features beautiful niello drawings of Russian architecture incised into the back of each bowl. 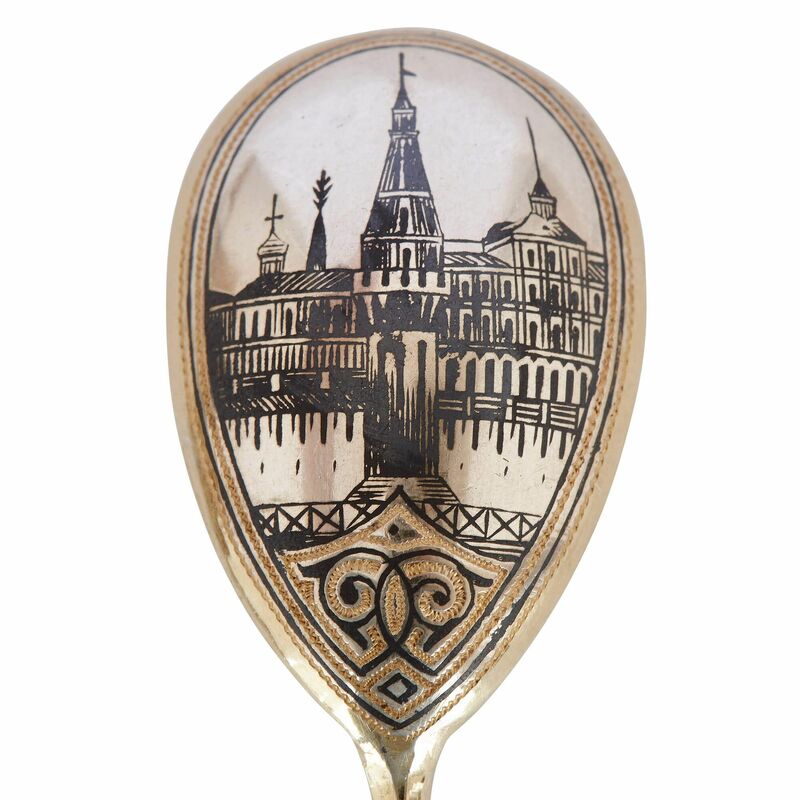 The six spoons have been intricately ornamented with images of grand Russian buildings and architecture. 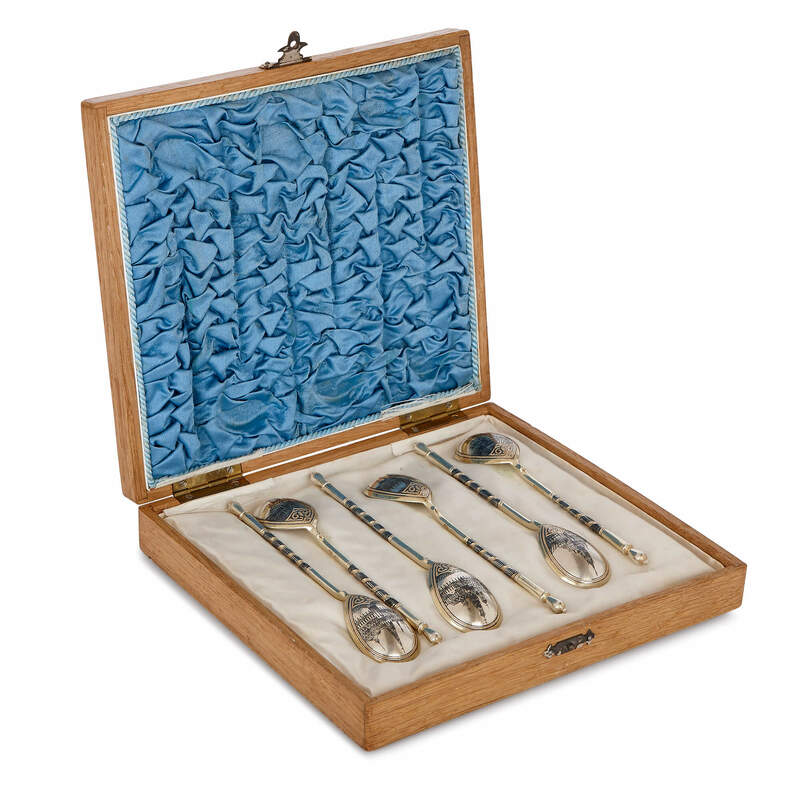 Each of the spoons has been cast in silver-gilt. 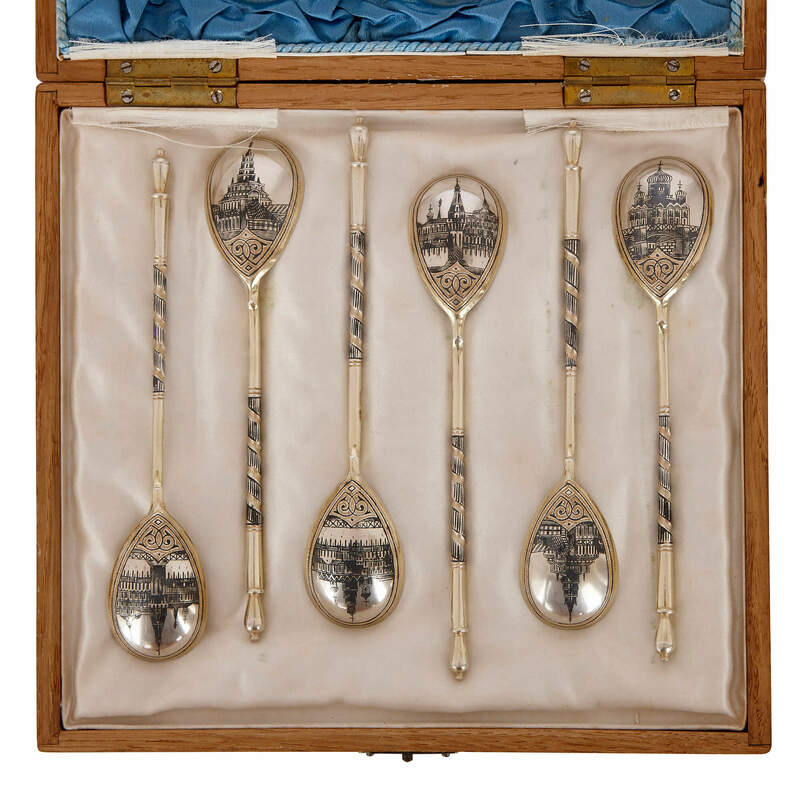 On each, the silver back of the spoon bowl has been incised with a drawing of a Russian building, and these lines filled with a black-coloured inlay, called niello (made as a mixture of sulphur, copper, silver and lead). The resulting image is bold and print-like, but also detailed. In the area below the niello drawing, the silver has been embossed with decorative, swirling patterns. 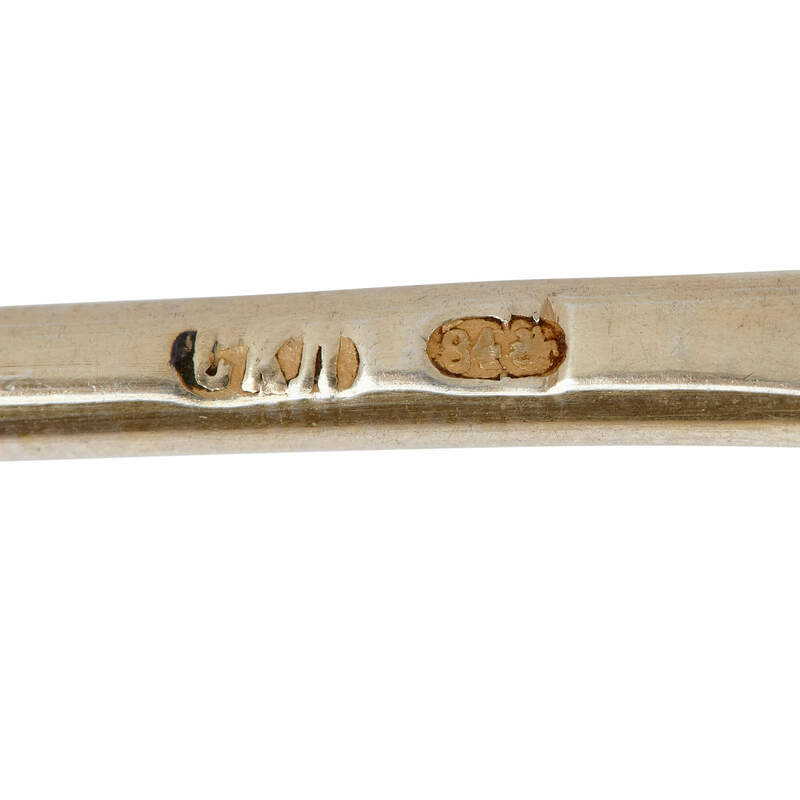 Near the end, the stem of the spoons changes from plain silver-gilt to a fluted niello body with a silver band wound around it. The spoons terminate in a simple, teardrop-shaped end. 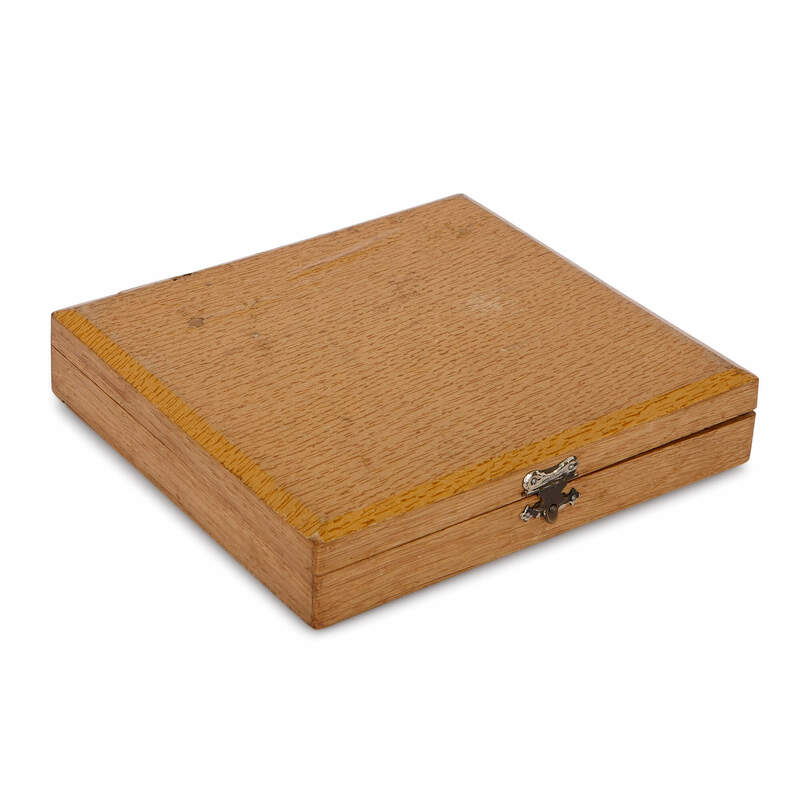 The set is stored within a fitted presentation case.